With mobility becoming an integral part of everyday life, new sets of tools are needed in order to make the integration go more smoothly. And nothing captures the idea of this increasing mobility than the use of today’s new smart phones. On their own, these smart phones can do little. But add up other useful tools and features into it and the smart phone even becomes a formidable tool able to provide more mobility to users when it comes to doing various tasks from basically anywhere. 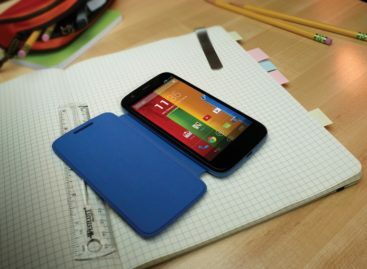 More effective mobility is what FCmobilelife for mobile phones is offering. A product by expert time management firm FranklinCovey, the FCmobilelife is a powerful online mobile client that allows individuals and groups to conduct on-time collaboration of schedules and tasks using the handy mobile phone. It is a useful tool that makes sense to individuals and small groups with the need to collaborate tasks and schedules with others even when they are located from different points of the compass. That is a mobility tool a highly mobile team on the field, an organization or a small business might find very useful. 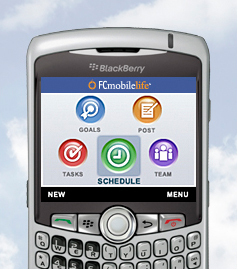 The FCmobilelife connects a mobile phone with a hosted back-end server that allows users of the client tool to do task management on their mobile phone. And because the information is stored in a hosted server, other members of the team may be able to access it and update and coordinate their own schedules and tasks. Communication between groups is also made through the multimedia tools to keep track with other members of the team and share important information. This useful tool works on mobile phones supporting Blackberry/Java and Windows Mobile platforms. With the set-up provided by the FCmobilelife, there is no longer a need to update tasks and schedules by syncing from a desktop client. Updating is done while on the go, thanks to a hosted back-end server that can be accessed from a mobile phone anywhere.